SCVHistory.com | Hart High School | 1963 Tomahawk Yearbook (Complete); Irvin Shimmin Bio (Superintendent 1951-1963). William S. Hart High School. With Biography of Dr. Irvin A. Shimmin, Superindendent 1951-1963. Mr. Irwin A. Schimmin, District Superintendent for William S. Hart since March 16, 1951, is leaving us this year. He has served the school and community well by his extensive efforts. He was born in 1900 in Paso Robles and began his educational career in 1931 as a Business Subject Teacher and Athletic coach at Selma High School, Selma, California. 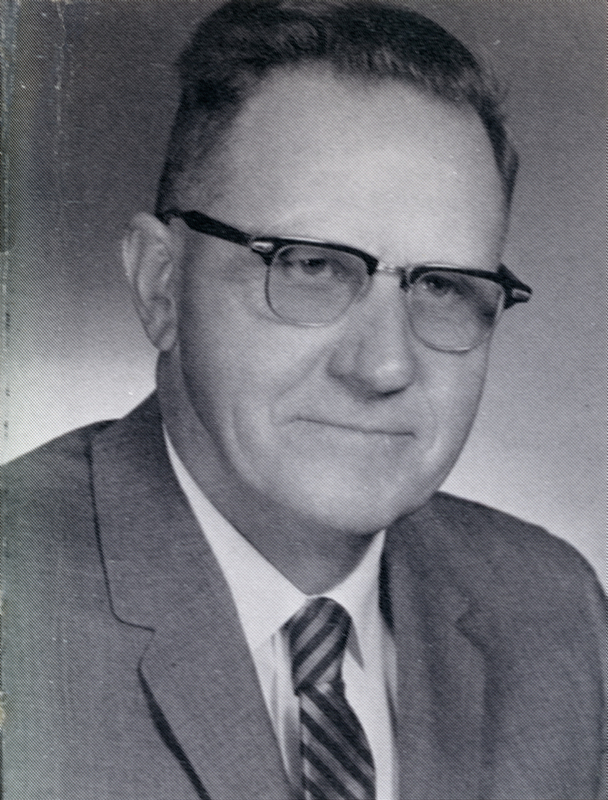 His administrative days began in 1937 as Vice Principal of Gilroy Union High School District. Since then he has been District Superintendent and Principal at Le Grand High School District (1940-1945), District Superintendent and Principal of Capistrano Union High School District (1948-1951). He has been honored by being elected to Who's Who in American Education (1963-1964 Yearbook), Who's Who in the West (listed in Yearbooks since 1958), member of Phi Delta Kappa since 1937, elected President of Epsilon Field Chapter 1955-1956, and awarded Honorary Life membership in California Congress of Parents and Teachers, 1955. While employed in the Hart district Mr. Shimmin received his Master of Arts Degree. His thesis was a study of Jr. Hi's, so that the present Jr. Hi would be as up to date as possible. Under his administration, Hart High has received maximum accreditation for college requirements from the California Association of Secondary School Administrators. Mr. Shimmin has always been a strong believer in the value of athletics. He helped to organize the local Little League. Mr. Shimmin has proven himself very versatile in all phases of development of youth. His absence will surely be regretted in the future development of the district.